December | 2016 | LIT.GAZ. This kind of book is known as a stocking-filler; I was very glad to find it in mine. 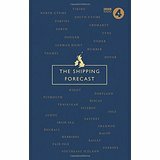 It was compiled by the BBC, who broadcast the shipping forecast although they don’t produce it; it’s been a bit of a rush-job as a stocking-filler because the editor hasn’t found all of the silly little errors which should have been picked up during proof-reading. It took a while to learn how to decode the mysterious terminology: you gradually realise that the announcer is going round the coast in a more-or-less clockwise direction, then that the information concerns wind speed, wind direction, visibility; these are predictions, followed by reports from coastal stations which are actual readings, and also add barometric pressure, and whether it’s rising or falling. The pace and tone of voice are important for comprehensibility as anyone familiar with listening to AM radio from far-off stations will understand. The book takes you through all 31 sea areas and we learn the origins of the names, their history – some of the names have changed over time, some new ones have been added like the Utsires, which were never there in my childhood and came as rather a shock when I first met them; there is information about temperatures, wave heights and the like in each sea area and a few interesting snippets about them. Waves the height of seven double-decker buses are not anything I ever wish to encounter. The shipping forecast has been romanticised over the past few years and treated to a number of books in its honour. I suppose it is part of our cultural heritage in a way and a strong reminder that we live on an island. It is very restful, peaceful, soothing if one listens to the late-night version (which I’ve only heard a few times), clearly holding a small place in the affections of many as well as performing a vital task, though perhaps less vital in our more technological days. And this book is a soothing tribute to it. I suspect everyone has a favourite word, or some favourite words, that they particularly like the sound of, or the meaning, or the shape… what are yours? As a child, I loved the nonsense words in Jabberwocky, which I can still recite (with glee!) And, as you’d expect, I enjoy Scrabble, when I can find someone who will play. I always find this a little unfair, as although I do have a decent vocabulary, the letters one gets in the game are random, and usually infuriating. I am a little proud of the fact that I once, many years ago, won a game of French Scrabble, against French opponents. And then there is the internet, which has spawned a host of websites offering information about words. My favourite is still A Word A Day, to which I was introduced a very long time ago, in the very early days of the internet, by one of my students. You get a new word every day, usually on a theme for the week, its definition, pronunciation and etymology along with some examples of its use, and a random quotation that has nothing at all to do with the word, but is always worth reading. All in an e-mail, for nothing. Finally a mention for another of my favourite sites, language hat, who blogs most days about words, language and reading, and has far more followers than I do. I come across lots of interesting things there. 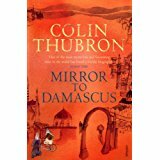 What books could you not bear to be without? Or, let’s rephrase that: what book would you take along with you to your desert island, along with the Bible and Shakespeare? If you were going into a home which only had room for one small bookcase, what would you absolutely have to have on it? Any real reader will know that those are impossible questions. Where do I start? I’ve written about culling my library and how painful it is; I’m still trying to thin it out a bit so there’s room to move. And the loft is creaking under the weight of the boxes waiting to be sorted out. Musts: Shakespeare. The lightweight single volume on bible paper will do to save space, as will my two-volume complete Jane Austen, also on bible paper. I need my complete John Donne poems, too. Dictionaries I’ll pass on, if I can have a laptop instead. I want one of my reference books to Bach’s cantatas, though, and my trusty Times Comprehensive Atlas. And I’ll have my complete Sherlock Holmes, the two-volume one to save space. And I could stop there, I suppose, using the excuse that anything pre-1923 is available free online, again as long as I can have the laptop. That just leaves the rest of the twentieth century, literature, history and travel. You can see that it’s a ridiculous exercise; the laptop is clearly cheating; perhaps you should try it sometime? My house would feel naked, I’d feel naked, without my library surrounding me. One day, I’ll try the exercise, allowing myself 100 books… that feels like a more sensible number. And I’ll post the list.